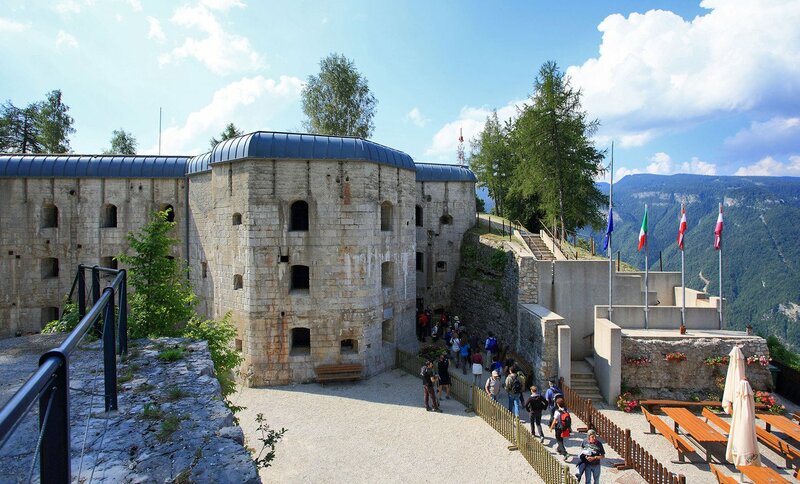 The Belvedere-Gschwent stronghold was built by the Army Corps of Engineers under the direction of the Austro-Hungarian Lieutenant Rudolf Schneider in the four-year-period 1908-1912 with the aim of defending Trento from the possible Italian attacks in this peculiar area. Thanks to its 200-soldiers-garrison, led by a lieutenant, the stronghold completely fulfilled its defensive task by supporting the military actions. Despite the strong bombardments directed by the Italian artillery located in Porta Manazza, Campolongo and Campomolon and the consequent damages, the stronghold succeed-ed in resisting: in fact, as soon as the bombings ended, the soldiers restored the dam-aged buildings. Contrary to what happened to the other strongholds, Belvedere-Gschwent escaped the postwar demolition ordered by King Vittorio Emanuele the Third. 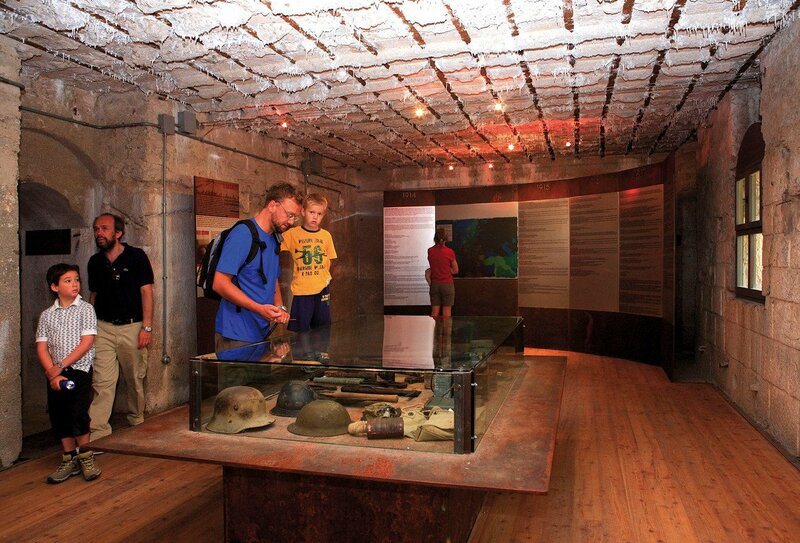 The fortress is today a museum showing the most dramatic events of the First World War, as a unique and indispensable witness of a conflict that dramatically upset Europe.